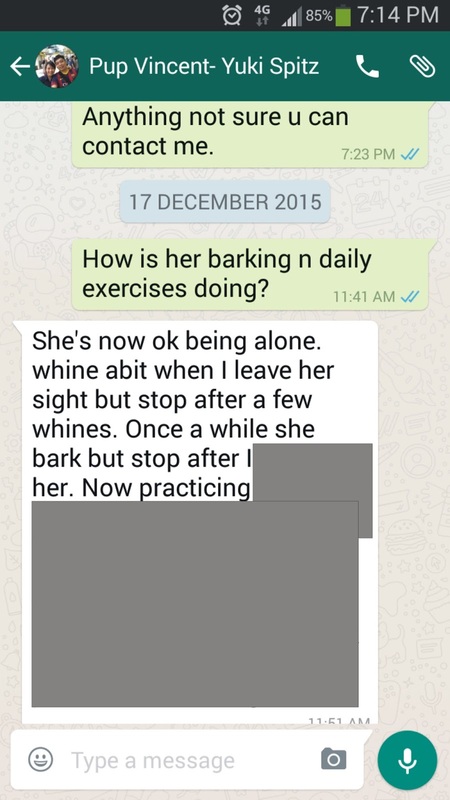 DR-DOGS.COM: Dog training in Singapore - Give your puppy the right training before it turn aggressive! 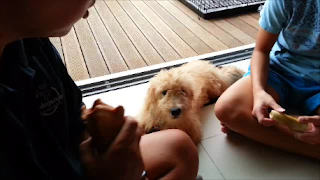 Dog training in Singapore - Give your puppy the right training before it turn aggressive! Dog training Singapore - Give your puppy a proper and right training before it turn bad! Pekingnese cross dog is aggressive that don't like cutting nails. They said they wanted to learn cutting of nail, when I found out she is aggressive then they told me she had bite the groomer and the owners before! Obedience training must be re enforce to show the puppy who is in charge! 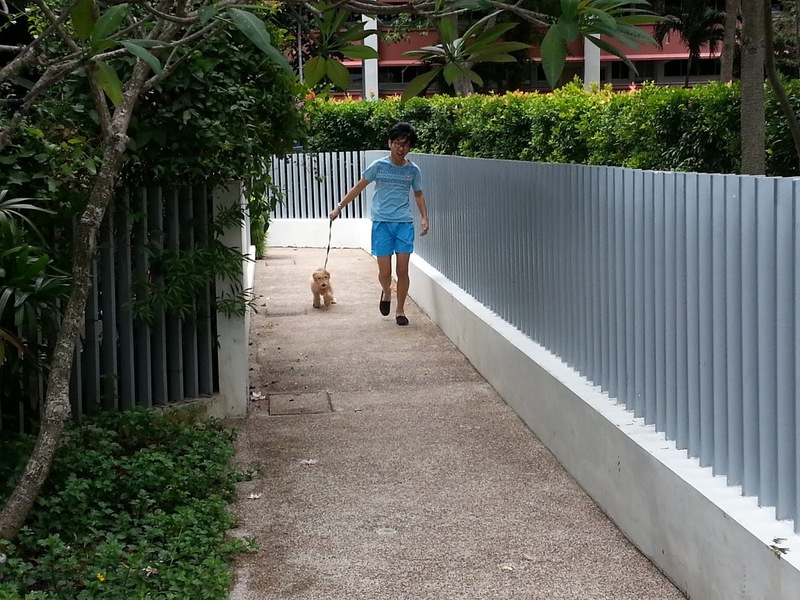 Dog training Singapore - A salute to committed and responsibility dog's owners. Owners are committed and determine to give their dog a chance to train their aggressive dog! This dog was not trained at all, lucky her sister in law had gone thru our class training and recommend her to train! Their groomer had given up as the dog is turn bad to worst in the grooming.If the dog can be muzzle then the groomer will groom it. There is many owners out there that rather give up their dog then pay to train their dog :( These are irresponsible one! Training result should be credited to the committed owners, Cheer for them! Don't be cheated by this smiling, cute face (Jack- French Bulldog) he is dominate, jealousy, stubborn and naughty, smart boy! Whenever Michelle carry Tilly the female pug or Tilly goes near Michelle, jack will turn aggressive and bite her! Michelle has engage us for 1 day Consultation Training on their dogs' behaviors, obedience and toilet training! 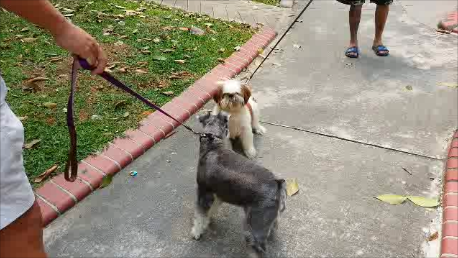 Michelle learns how to control the two dogs! They take up the aggressive training solving for their dog! 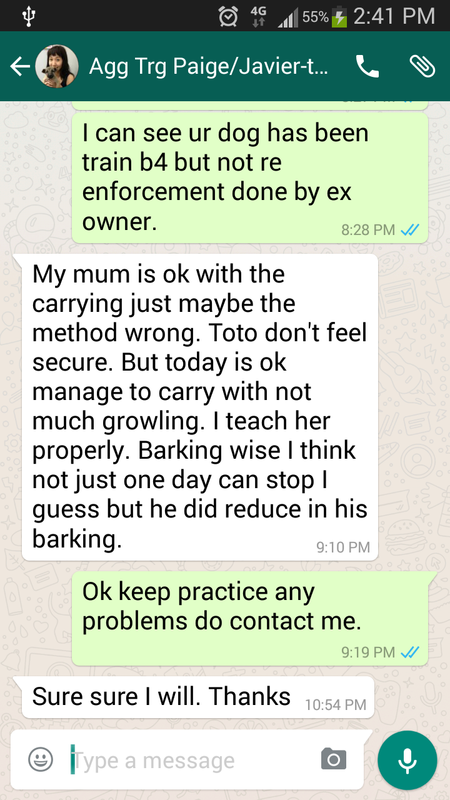 - Any owner that do not inform us that their dog are aggressive if happened that during training any injury cause by their dog. We will claim according on the medical fee and if we can't work for a day or few days or weeks. All expenses will be claim as well! After posting the above in facebook for less the 2hrs, an enquires comes in. Owner had 1 year old poodle. 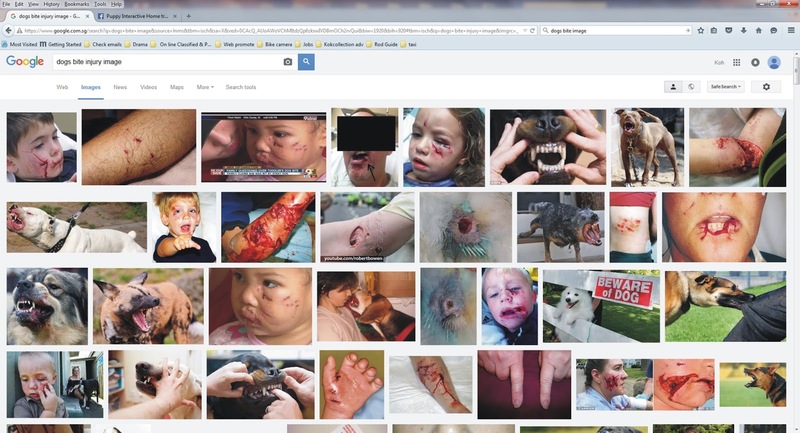 She claim that it has all kinds of aggressive problems of a aggressive dog (without further descriptions in detail of her dog problems)! She ask for the price? Since the owner is having this dog from puppy and for the 8 months, she try all kinds of methods from the Web by her own (free training) with positive and negative ways but fail! 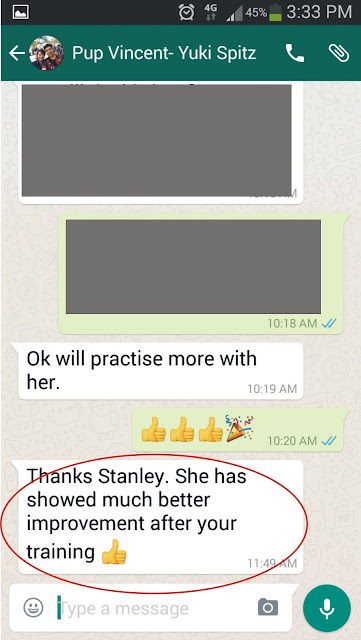 From a further conversation you can tell whether this is either a competitor checking for more details or people who are “not willing” to pay to look for cheap training or a genuine customer to be! So I give a rough quote and she doubt me for my ability! I was quite blunt to tell her, if your dog has no problem you wouldn't call today and again what happened if your dog bite me and I can't work for a day or two, are you going paying for my medical bill and my daily expenses? 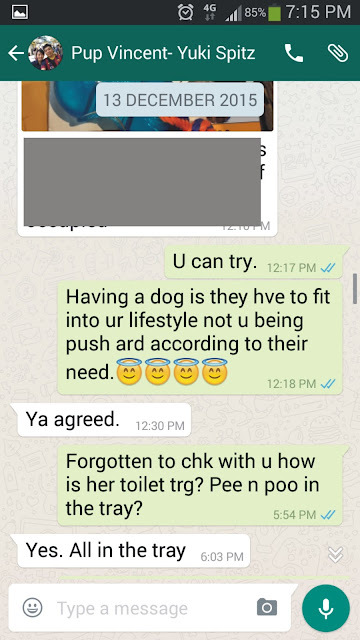 She ask again for an assess on her dog, I told her we don’t need assess unless she is will to pay for us to drop by her house to do it, there and then she keep quiet! 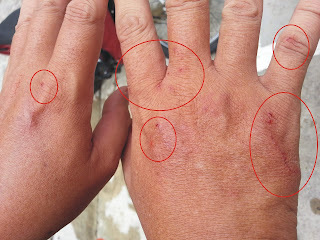 My worst incident happened is a nail being bitten off of my left finger and I got a few bruises on my tight. 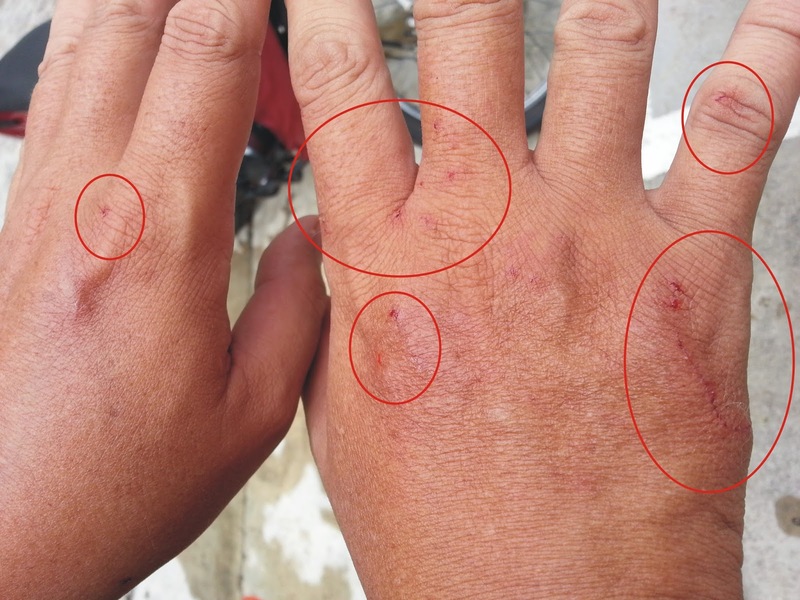 My left hand is bleed non stop and my right hand is still holding on the dog to prevent it from attack again and the owner’s house doesn’t even have a first aid kit at home! This takes my more then a week to recover! PLEASE NOTE: at this moment no insurance will insure dog(animal) trainer here but owner can buy insurance for their aggressive dog, if thing goes wrong the third party could claim accordingly. Till today, how many of these aggressive dog’s owner will buy insurance for their dog? 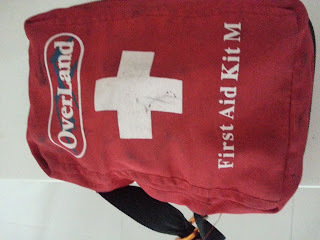 What I always bring for training aggressive dog? There is progress but need more time to practice! Behaviors training is not overnight result especially bad incidents/ habits has already being form for years! Friday 11/9/2015 close followup training with Toto for 2nd day! Understand this dog has been re home from many hands due to aggressive problems. This 3rd or 4th owners are determine to give the dog a chance to learn! Improvement results for the dog are base on the determination and effort put in by the dog's owner. Vivian was recommended by Joyce for our training. This 4 months old golden poodle " Gatsby" has most of the bad problems: aggressive, possessive aggression on food.., touch his head and he will bite, bark at passerby and very stubborn characters! 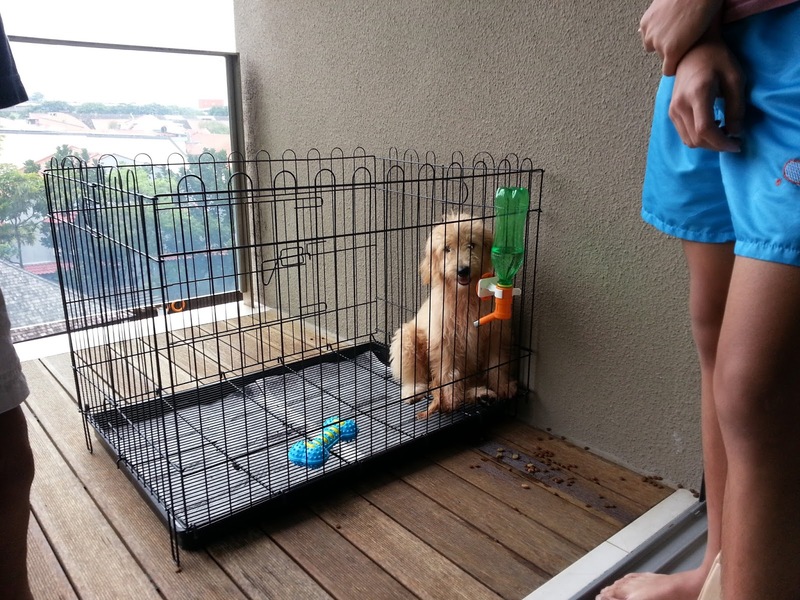 Owners know nothing about dog the breeder has given him the cage for toilet training! They take up Home puppy Interactive training! This 4 months old golden poodle " Gatsby" has most of the bad problems! Used to be very stubborn don't like leash and collar, don't want to walk after 15min owner can handle! Teach the owners how to hands on handling this naughty boy and also retrieve anything from him. Hope they can practice the training and control their dog. Recently hands bitten by a 4 month old puppy during training! Give your puppy a right training before thing goes wrong! Some owner will wait till puppy/dog turn aggressive then they started to train them, worst they will not tell you their dog is aggressive! Last week was the 1 st day training with Yuki the Japanese Spitz for the "Home puppy interactive training". 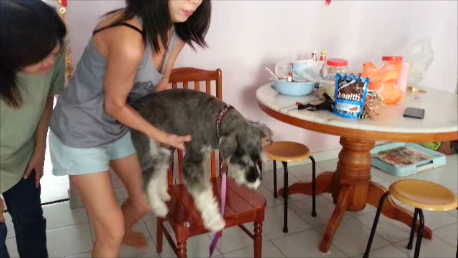 After looking at the problems she has, a series of home exercise was taught on how to stop this problem as the puppy is still very young to be control. Today is her second day training, Barking was under control, toilet training Thumb up, aggressive behaviour has cut down 90 - 95% still need some polish up! Today owner has gathering at home and she will be introduce to friends and kids! As feed back by owners this puppy has been trained before by the pet shop using the "M i L a N" way. I checked if both owners, did they beat this dog and created bad incident before, their answer is NOT AT ALL! Then it should be something wrong happened that she has created this kind of aggression! When the male owner carry Yuki, we can see he is dog lover and he even kiss his puppy from her lip! 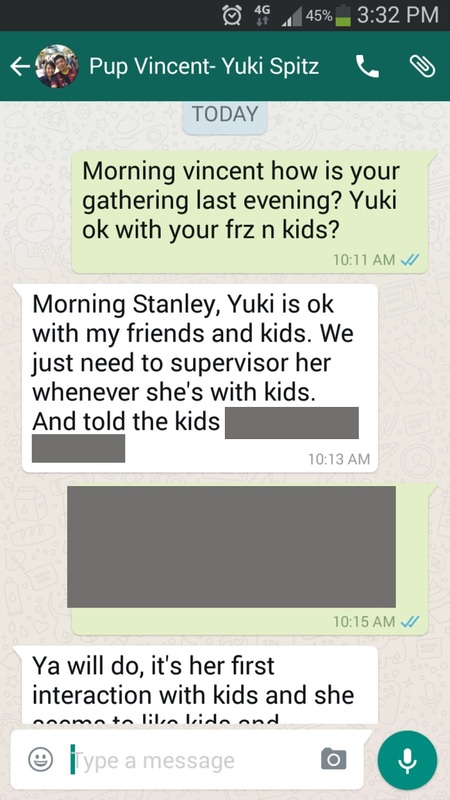 I had checked with the owner today about the gathering yesterday and Yuki was introduce to their frz and kids. Owner has reply! The improvement must credited to the owner's daily exercise, as I told them If you find a trainer that do not know how to teach and try to delay your time in training is a waste of time and money! If we knows how to teach and you don't put in the effort to practice your dog, you will never get result! For this "Home Puppy interactive Training" is only 2 days why waste time! Again the owner is paying 1 price for 2 UNLIMITED professional service, where can you find else where? Testing 3 years+ Brownie - Pomeranian temperament! 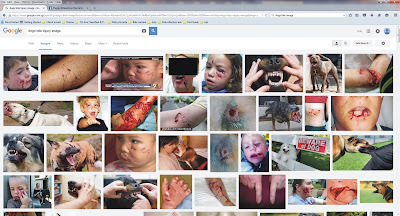 Many dogs' owner will wait till dog that show aggressive problem(s) then they started to look for trainer to train their dog but again are "they willing to pay" or "just leave with it" or "send away for adoption for others to be responsible for the problem" ??? Start training a dog when is puppy(3-4mths) is very important, what I mean is "Right Training" to give a good foundation in order to control and prevent things from getting worst! Owner had been keeping dogs before but never trained! want their dog to be from bad to worse in the temperament and behavior! Start training a dog when is puppy(3-4mths) is very important, what I mean is "Right Training" to give a good foundation in order to control and prevent things from getting worse! When this 4 months beauty became a beast, she bites as she don't like to be touch! Buying a dog is fated some aggressive dog are inborn, some are incidents happened but both can be train to be under control! You can't change the temperament but you can train and control them! Owner decided to keep her and her determination and patience training her puppy had improved it's temperament! So get your puppy training and control them from young! Give them a good foundation! Owners perseverance of training Snowy has help to improve it's behavior. Feedback my owner Vet said Snowy is a lot much better since her previous visit :) :) :) Is owners' effort ! Training a dog is not fixing/ repairing a electronic device, it takes time and effort for behavior solving. They are living thing not and object where we can change any parts and components in their brain! 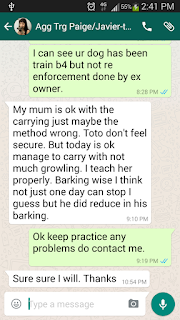 Many dogs' owner will wait till problems happened or delay the problems from happening for months and years then they look for help and ask for any "guarantee" in the training! If you find something wrong with your health and you keep dragging and delay to consult a doctor, will you ask the doctor for "guarantee" if it is a serious case? There is a number of cases where trainer promise "result guarantee" but owners that pay for the training still fail the test and some after paying $1k don't get the service after a first visit! So what is "guarantee" ? Gimmick! For more details in our training is better to call, no obligation if you do not wish to train after we quote you the fee!